If you haven’t been to Charleston, South Carolina you should move it to the top of your list right now. Why? Because it’s a charming walkable foodie town with a lot of history. I spent four days there in February 2016 eating and drinking everything in sight. It’s an easy city to explore and you don’t need a lot of time to tackle the essentials. First things first, the minute you book your flights, plan your meals and book any restaurants reservations. *cough*Husk and Fig*cough*. Then find a place to stay. After that, you can totally take it easy on the planning. And lucky for you, I’m writing about my favorite places to eat, drink, shop, and everything you want to do in between, so you can basically check planning off your to-do list. 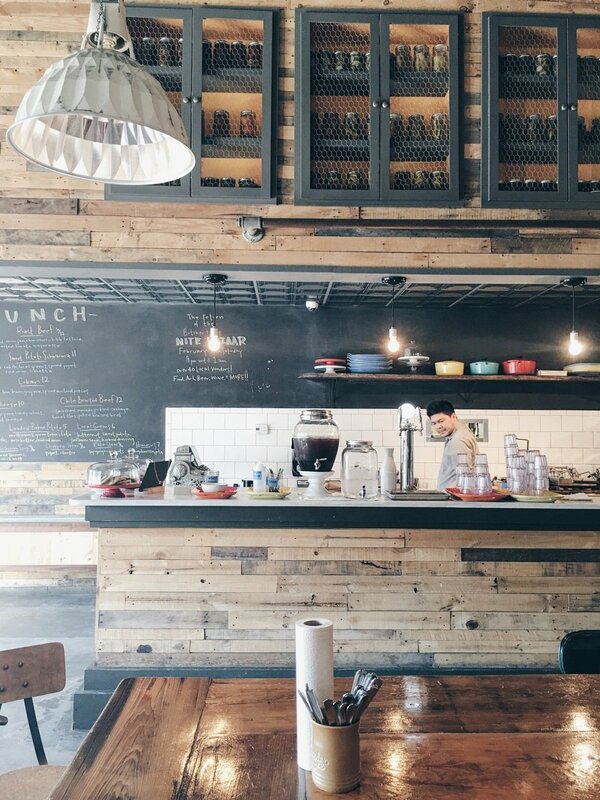 Butcher & Bee is a great spot for lunch. 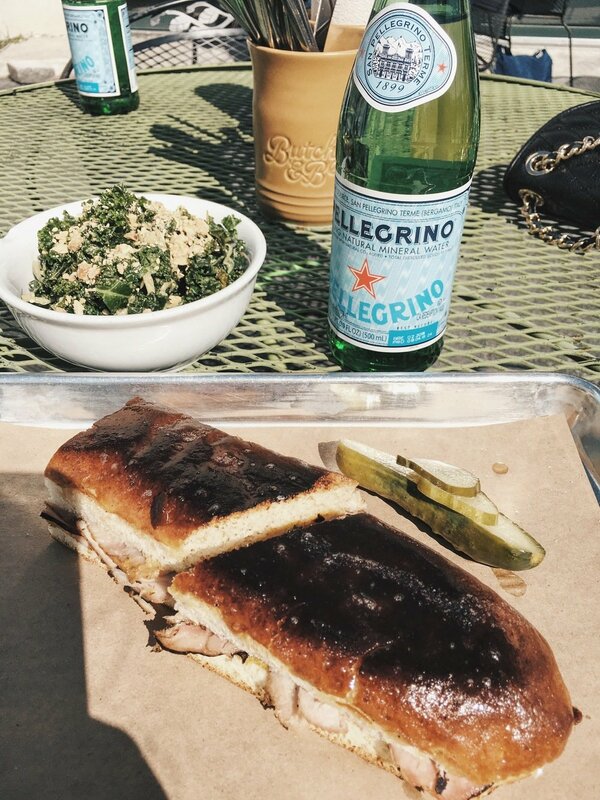 I had the kale salad and the Cuban sandwich. (Word on the street is that the Pulled Squash Sandwich is on a Best Sandwich in America list, just saying.) Both the Cuban and the kale salad were extremely delicious … but the kale salad. OH EM GEE! Just incredible. 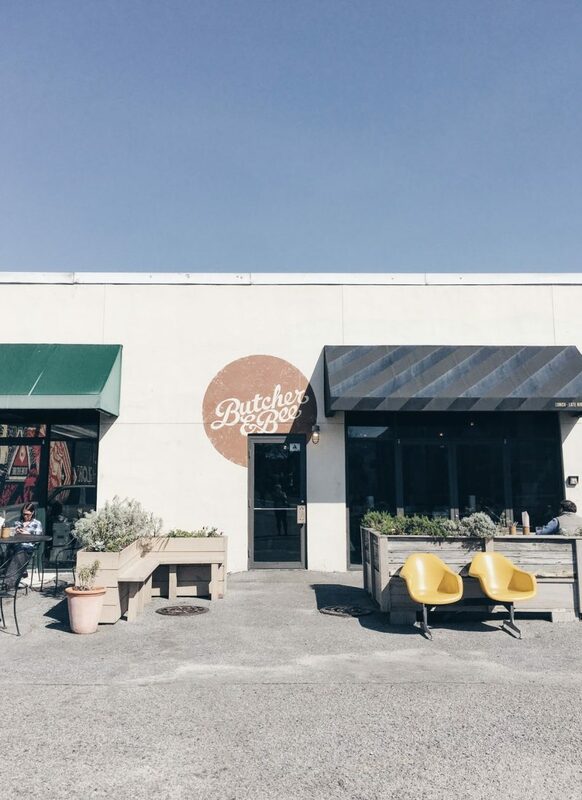 After lunch, stop at The Daily, Butcher & Bee’s sister shop on the corner, for a Stumptown coffee or to buy a bottle of the kale salad dressing. 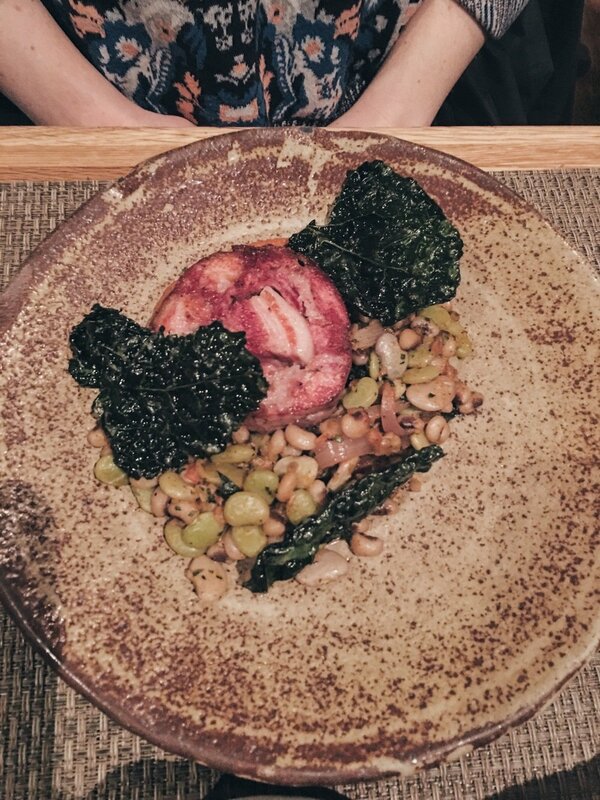 James Beard Award-winning chef Sean Brock’s Husk uses heirloom ingredients to reinterpret classic Southern cuisine. He has multiple restaurants around Charleston and is pretty well-known. (I first heard of him on PBS’s Mind of a Chef. One of my favorite shows.) The meal was awesome. There were some hits and some misses, but overall, I thought everything was phenomenal. 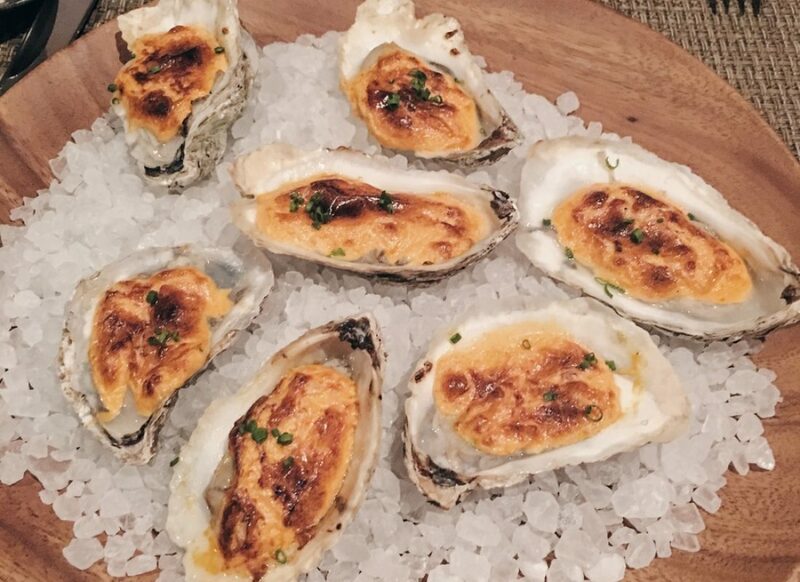 Especially the oysters. And the bourbon. All the bourbon. Fig — Make a resie – and get the Ricotta Gnocci! Hominy Grill — Get the Fried Green Tomatoes, Fried Chicken Basket and Shrimp & Grits. 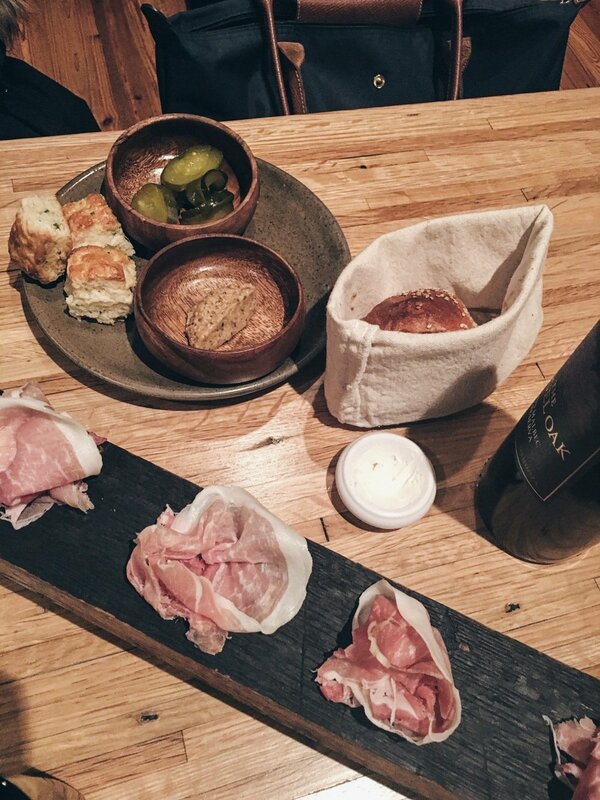 Lowcountry Bistro — Get moonshine and crap dip. Minero — Sean Brock’s Mexican restaurant. Sugar Bakeshop — All the cupcakes. Leon’s — In a debatable area but just Uber there and back. We arrived in Charleston on Superbowl Sunday. After checking in, we made a beeline for a bar, hoping to hunker down for a few hours and watch the game. Our first choice was a bar called Warehouse, but sadly it was closed. Next on the list was Prohibition, and thankfully it was open. Otherwise, I would have resorted to paper bagging it. Prohibition is a great speakeasy-ish bar with delicious Old Fashioneds. They have a serious Happy Hour, and typically have a live jazz band on Sundays. Poogan’s Porch — Next door to Husk, and basically Husk’s bar. Get a bourbon flight. Then order the best of the flight. Minero — It’s Mexican, but get bourbon. Candlefish is a wonderful local business that sells hand-crafted candles in 100 scents. Stop by the shop and test out what scent is perfect for you. BONUS: Candlefish will save your favorite scents so you can shop online once you’re home. I picked up two travel candles since I had a carry-on, but they have lots of cards, trinkets and other local flair. Travel tip: Pack a travel candle so it smells like home wherever you are! Sweet 185 — More of a spa but if you’re hungover, their oxygen bar works wonders. Since we were staying at the Zero George Street, we grabbed the hotel bikes for guests and started out towards the water. Our first stop was the lovely Pineapple Fountain at Waterfront Park. After a few minutes of picture taking, we hopped back on the bikes and headed down Battery to White Point Garden. Next, head up Meeting Street towards Broad. Walk down Broad a bit and check out the amazing architecture, highlighted by Saint Michael’s Church. While you’re in the area, consider taking an official walking tour or even a horse-drawn carriage tour. They may seem touristy but it’s a great way to learn more about the city’s history. OR walk up another block and grab lunch or dinner at Husk. I can always bring it back to food. So that’s it. That’s all I have for you from this trip to Charleston. Hopefully, I’ll visit again soon because I’m pretty sure I belong in the Low Country.